NORTH BAY, Ont. 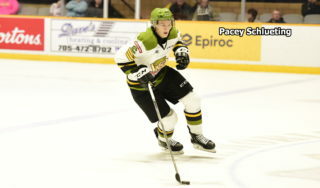 — With one-quarter of its Ontario Hockey League schedule still to play, the North Bay Battalion is getting a clearer picture of its realistic mission: nailing down a playoff position, preferably one as high as possible. 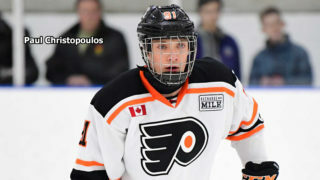 The Battalion, which plays host to the Flint Firebirds at 7 p.m. Thursday in its only game this week, has a won-lost-extended record of 23-24-4 for 50 points, fourth in the Central Division and tied with the East Division’s Peterborough Petes and Hamilton Bulldogs for sixth in the Eastern Conference, in which the top eight of 10 teams qualify for the postseason. 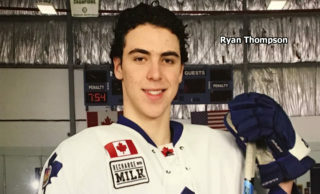 The Mississauga Steelheads are 23-21-6 for 52 points, third in the Central and fifth in the conference, while Peterborough is 24-24-2 and Hamilton 23-24-4, the same as North Bay. The Barrie Colts are 21-25-3 for 45 points, fifth in the division and ninth in the conference. The Troops have 10 games left at home, where they’re 12-9-3, and seven to play on the road, where they’ve gone 11-15-1. “I think what’s important to understand is they have some good players on that team as well,” Battalion assistant coach Adam Dennis said Wednesday of Flint, 9-40-3 for 21 points, last in the West Division, Western Conference and league. The Firebirds have lost their last four games. The Battalion, which has lost three straight games, won 5-3 at Flint on Oct. 12 in the teams’ only other meeting of the season. Justin Brazeau and the since-traded Adam McMaster each scored two goals, while Brad Chenier had one. “I don’t think that we are where we want to be,” allowed Dennis. “There are some things in our game that need to be cleaned up, and there’s definitely some consistency that we need to bring into our game if we want to go into the playoffs with a good seed and feel good about our game. 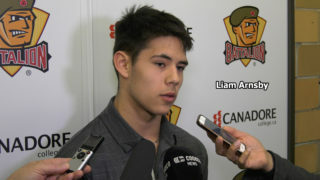 Dennis said the Battalion needs to work on spending more time in the opposition end. Dennis also suggested that the Troops have room to achieve better results with increased maturity. “At the start of the year we were a pretty emotional group. One of the things that popped up was that, if anything bad over the course of the game happened, we were very reactive with the way that we wanted to do things. At this level in junior hockey, at this age in general, mental toughness is something that you really try and work on, try and focus on. 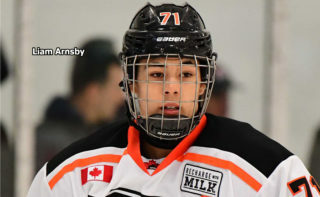 Brazeau, who’s second in the OHL scoring race to fellow overage right winger Tye Felhaber of the Ottawa 67’s, has team-leading totals of 45 goals and 40 assists for 85 points in 51 games. That puts Brazeau on pace for 60 goals, which would shatter the franchise record of 50 in a season, set by Mike Amadio in 2015-16. Centre Matthew Struthers is second in Battalion points production with 22 goals and 37 assists for 59 points in 44 games, while left winger Chenier, currently sidelined with a knee injury, has 23 goals and 26 assists for 49 points in 47 games. 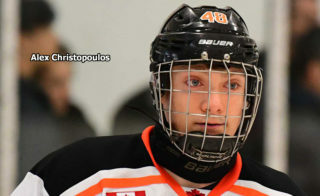 Right winger Brandon Coe and defenceman Nick King have 28 points apiece in 50 games, Coe from 11 goals and 17 assists and King from eight goals and 20 assists. The Flint game is CMHA Talk Today Night presented by Teachers Life in conjunction with the Canadian Mental Health Association, Nipissing.